348, (4). Modern vellum. Sm. 4to. Both volumes of Straparola’s classic collection of 75 fairy tales, divided here into thirteen nights. 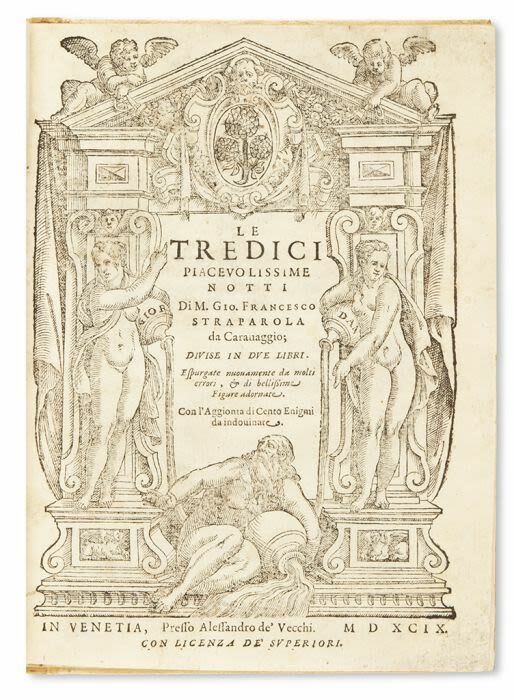 First printed in 1550-53, these stories, the first literary fairy tales published in Europe, would eventually influence later writers such as the Charles Perrault and the Brothers Grimm.